Matt Fazio is not a bestselling author, but he hopes to be one someday. He teaches Composition and Communication courses at various universities in the Pittsburgh area and is a marketer for an accounting and consulting firm. 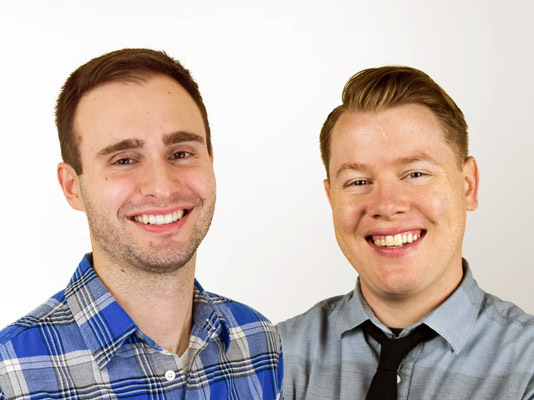 When he isn’t writing, teaching, or marketing, he’s likely researching fantasy baseball stats (2012 League Champion), playing songs on guitar (exclusively early 2000s pop punk), or quoting the entirety of Willy Wonka (the Gene Wilder version, of course). He received a BA in English Studies from Robert Morris University, an MA in English Literature from Slippery Rock University, and a PhD in Rhetoric from Duquesne University. Matt lives in Pittsburgh, PA, with his wife, Erica, and two children, Thea and Josie. Josh Malacki lives in Pittsburgh, PA, and received a BA in English from Robert Morris University. He is left-handed. His hair is brown. He is terrible at writing third-person author bios, as you likely figured out, or at least suspected, when he told you he was left-handed, or certainly no later than when he informed you of his hair color (brown). Nevertheless, he promises you that Detours and Designs is a lot better than this bio. Although Josh’s poetry and short fiction have appeared in a handful of publications, he is best known for his fifth-grade D.A.R.E. essay, which won first place in a landslide. 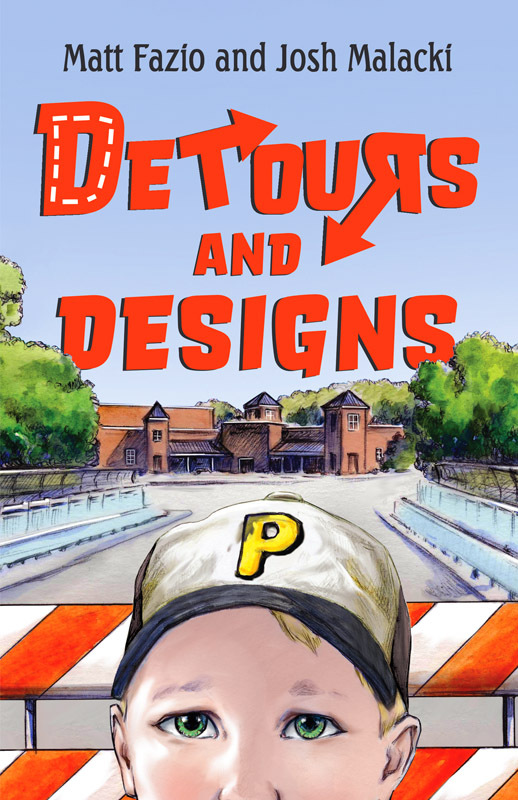 Detours and Designs is his first novel. Any other eleven-year-old kid might flip past a hand-drawn picture if they found it in a textbook. But not Drew Daley. When he discovers a detailed drawing tucked away in his science book, his entire life changes. He finds himself seeing everything differently and caring about things in a way he never did before. Drew becomes determined to find the artist, but with the list of names inside the front cover of his book as his only clue, the search isn’t an easy one. He encounters overbearing teachers and bullies, broken windows and promises, and even death and destruction. On top of all that, Drew has to navigate through fifth grade, where he’s learning some important life lessons: Lies can be more common than the truth, people aren’t always who they seem, and the most complex problems rarely have “right” answers. Through it all, the drawing gives Drew peace of mind and direction. But how far is he willing to go to uncover the identity of the artist?